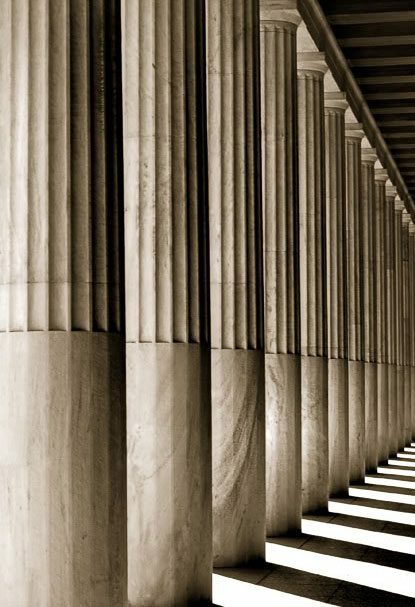 The romantic ideal of ancient Greece as a centre for youth and energy, toleration and intellectual freedom where beauty and nature come together as a perfect entity comes down strongly to us from the classical period, five centuries before the Christ event. Ever since, it has been an ideological construct of those who could afford to escape the profanities and pressures of city life. 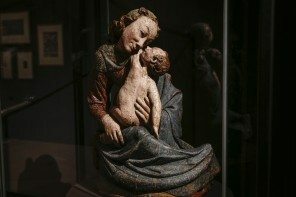 Classical art and the ideas associated with it is at the essence of all European founded traditions in arts and culture. 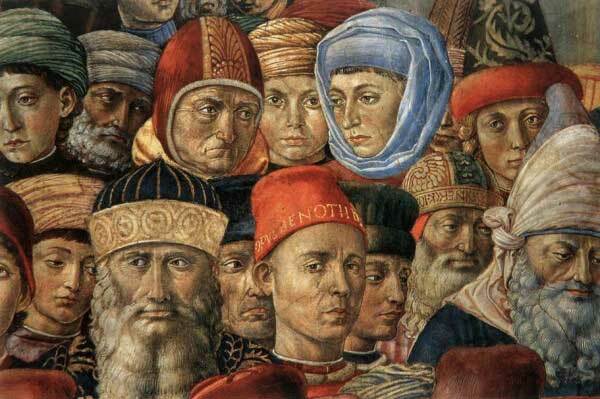 The 15th century in Europe, when a new attitude due to changes in thinking emerged, is recognized as one of the world’s most brilliant. Men and women were induced to regard themselves and their own lives in relation to the world in which they lived, rather than the prior world of theologians. This new thinking, especially in Italy, promoted the idea that if a ‘man’ regained faith in himself, he would recognise the true value of history. By increasing the prestige of his ancestry his will would survive through his sons and in all likelihood, the sons of his sons. This meant he would in turn honour men of the past, and importantly, learn to honour himself, with reputation, fame and secular glory as his ideal goal. It’s perhaps the most powerful single intellectual idea behind embracing a world today whose economies are based on productivity and profit. 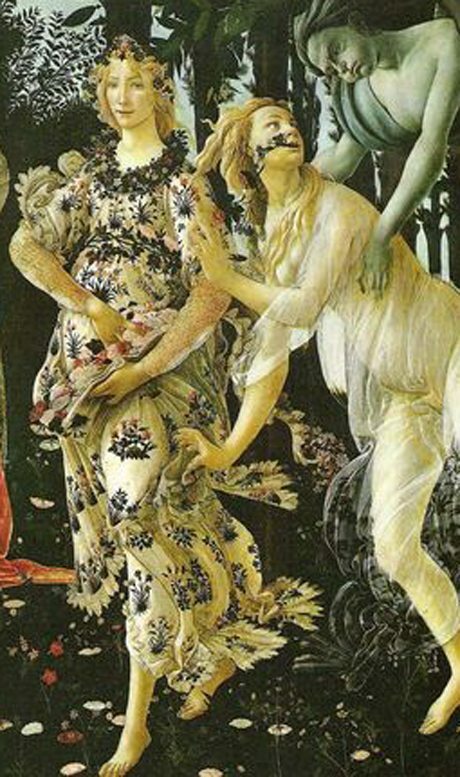 Italian painter Sandro Botticelli (1445-1510) featured a very radiant Flora, the Godess of flowers and spring in his famous painting the Primavera. The beautiful textile of her gown is appropriately strewn with wonderful varieties of wild flowers such as those grown in the hills of Arcadia. It was considered a beautiful place to be. 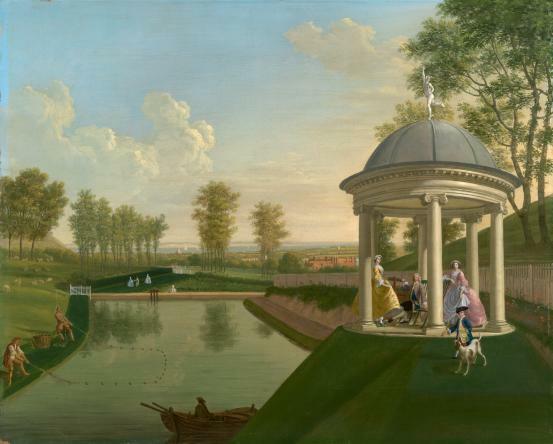 As it did then, and still does today, it fulfills spectacularly the idea of a magical place, an ‘Arcadia’ or haven, where everyone in society can aspire for perfection in life. In Arcadia the body could be nurtured, the mind expanded, all the senses stimulated and the soul, well it could find ultimate peace and a place of repose. Arcady as the English called it, was an ideal rustic paradise, a heaven right here on earth. Greek colonists had established trading stations in the south of Italy eight centuries before Christ. They passed into the control of Italic tribesmen eventually who moved down from the mountains of the interior. The latter were quick to learn the lessons of civilisation and the union was to coin a phrase, a fruitful one. It resulted in a culture, which in varying proportions was both Greek and Italic. 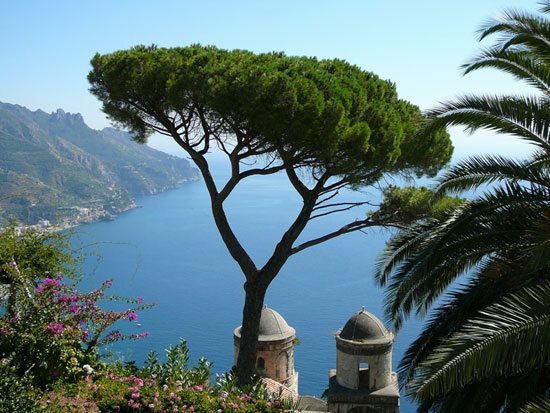 The Romans called the south of Italy Campania felix, lucky, because of its exceptional fertility, proverbial beauty and ideal climate. It became very closely related to Rome’s position as a world power that came about through wealth acquired by the Roman upper class. From the third century BC the life and thought of Romans was influenced and civilised by contact in countless ways with the Greeks and their way of life. The educated classes of Italy became gradually and completely Hellenised as Romans were intelligent collectors of other’s ideas. By the time the Emperor Augustus established himself on the island of Capri, the Bay of Naples was ringed with the playgrounds of the rich and famous. 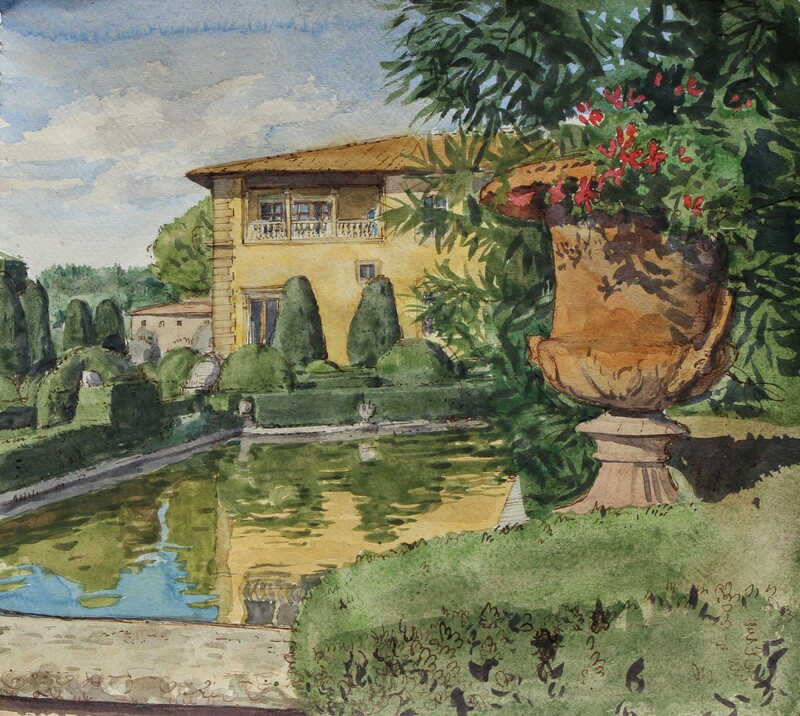 The Villae marittimae constituted a natural field for imaginative architectural experiment. It ensured the decorative tastes and fashions of Roman society found its complete expression in Campania. Since its early representation in Roman literature, the pleasures associated with a life close to nature in the countryside consisted of relaxation, healthy living, hunting, reading and conversation with friends. 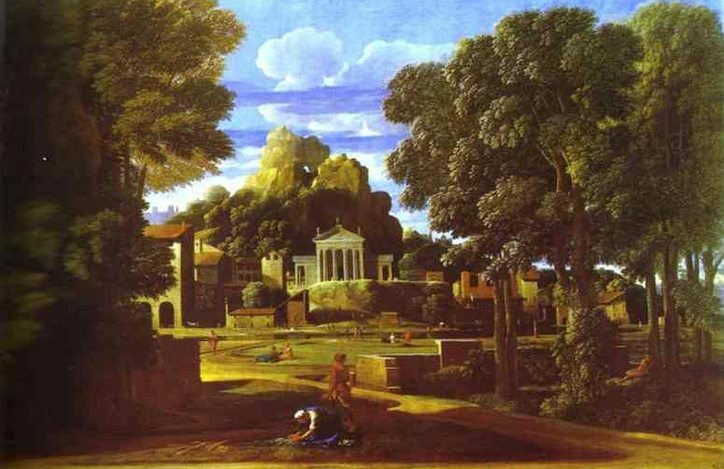 The seventeenth century ideal landscapes of painter Nicolas Poussin (1594-1665) was termed ‘Arcadian’; they recorded idyllic scenes of ancient landscapes they would wish to inhabit. 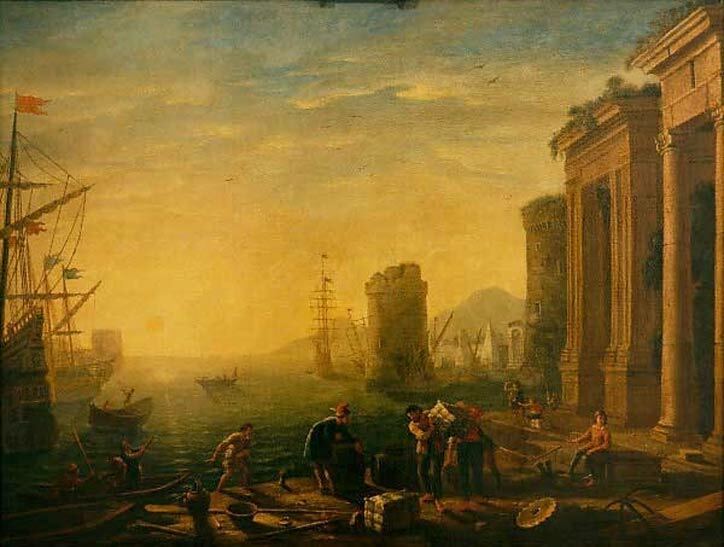 The paintings of French artist Claude Lorrain (1600 – 1682) were discovered during the grand tour of English gentlemen during the eighteenth century, when all roads led to Rome. These wonderful scenes inspired them to employ English gardeners who could offer to recreate what they believed to be the perfect world. 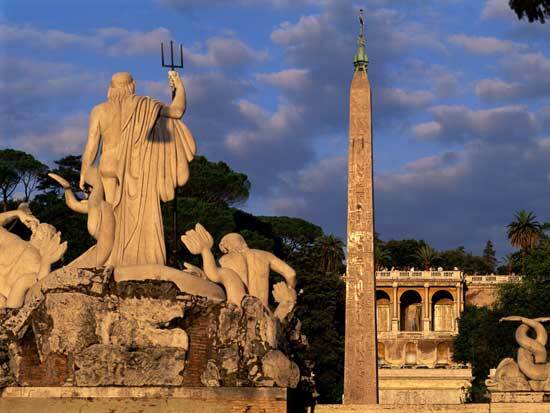 This is when in the English garden the arts associated with literature, painting, architecture, archaeology, science and religion all come together, influenced by Italian ideas and thought. One might see Apollo, the Sun God on a hillside by a small round temple or Flora, Goddess of Flowers and Spring, looking out across the verdant lawns and flowers. Neptune could also be found in the grotto striking the rock to make the waters flow; with Hercules inside a miniature Roman pantheon sited in a special place. It represented the human labours, which lay behind all these so-called ‘Arcadian ‘ idyllic scenes. 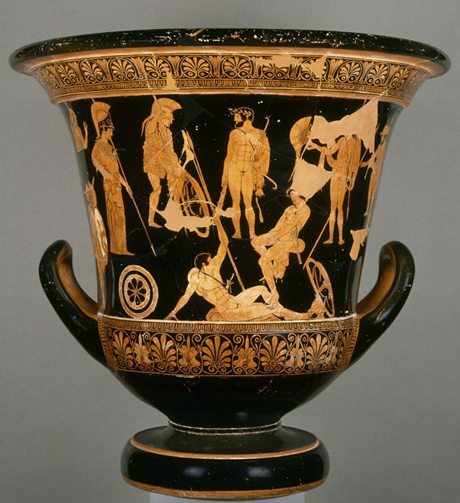 John Keats, the English poet (1795-1821), son of a livery stable keeper, like so many of his fellow romantic poets, posed questions trying to understand their ancestors relationship with the Gods mainly from Greek vase paintings. Pottery was for centuries the storage vessel made from the earth. In Keats time pottery vases became an important object to be included in an interior, because they bore allusions to the bountiful gods through bowls of fruit, bunches of wheat or flowers. Greek Vase painting reached a climax five centuries before the Christ event, as in this scene painted by the Niobid painter, where we see Herakles or Hercules standing among the Argonauts. He is watched over by Athena, goddess of wisdom, war and the arts. Today in Italy during olive harvest you can still see scenes of the olive harvest, where gatherers, one sitting in the branches, use long sticks to knock down the olives which are picked up by crouching figures just as on a Greek vase. Just like English poets Percy Bysshe Shelley and Lord Byron before him, Keats also lived for a time in Italy and died there in a house at the foot of the Spanish steps now known as a place of literary pilgrimage. 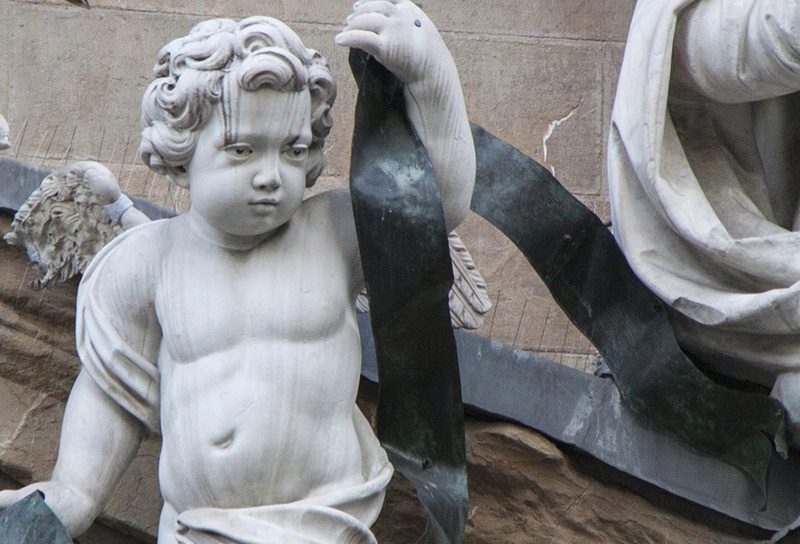 Italy and its wealth of historical ruins and art treasures continues to provide a rich record for visitors, tracing man’s journey from prehistory to the present day. For many it is a place of pilgrimage, spurred on not only by a desire to discover the roots of western civilisation, but also to engage with the stories coming from its spectacular fusion of art, nature and culture.